It’s 2015 and I’m using this theme to my full advantage this year. 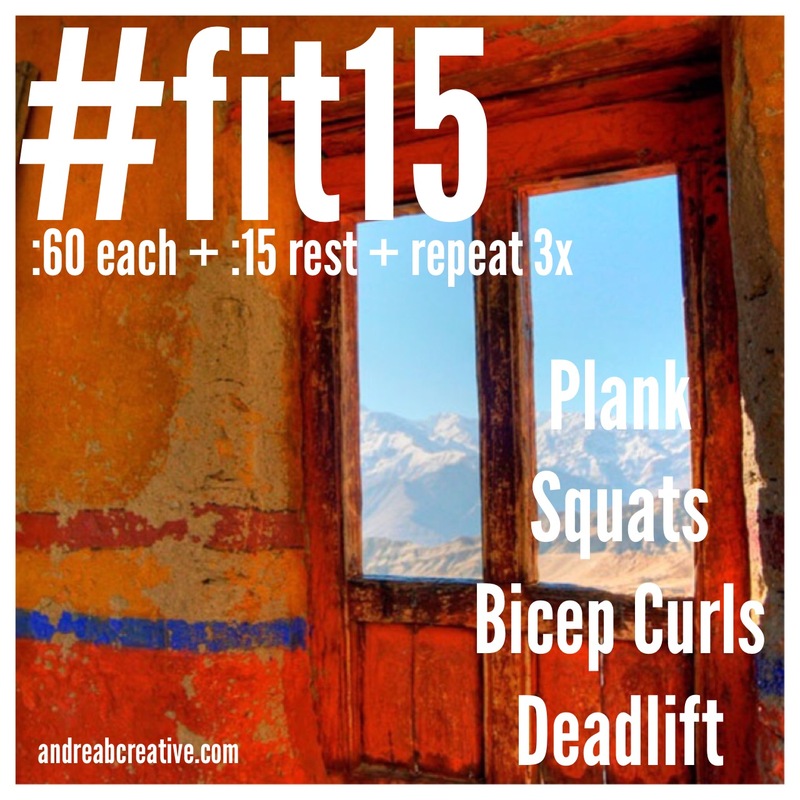 #Fit15 is my new favorite plan to help you, no matter how busy you are, get the workout you need every day. I’ve tested each of the plans I post – and they’re tough, but doable! You’ll be glad you tried them. You can use the Fit Card anywhere for your workout – or look through the entire post for specifics. #Fit15 Plan. You can use the Fit Card anywhere for your workout – or look through the entire post for specific details and equipment used for each exercise. This exercise should take you about 15 minutes to complete. Use a timer so you can track exercise and rest time. Make your goal to do one 15-minute exercise plan each day – aim for 5 days a week.